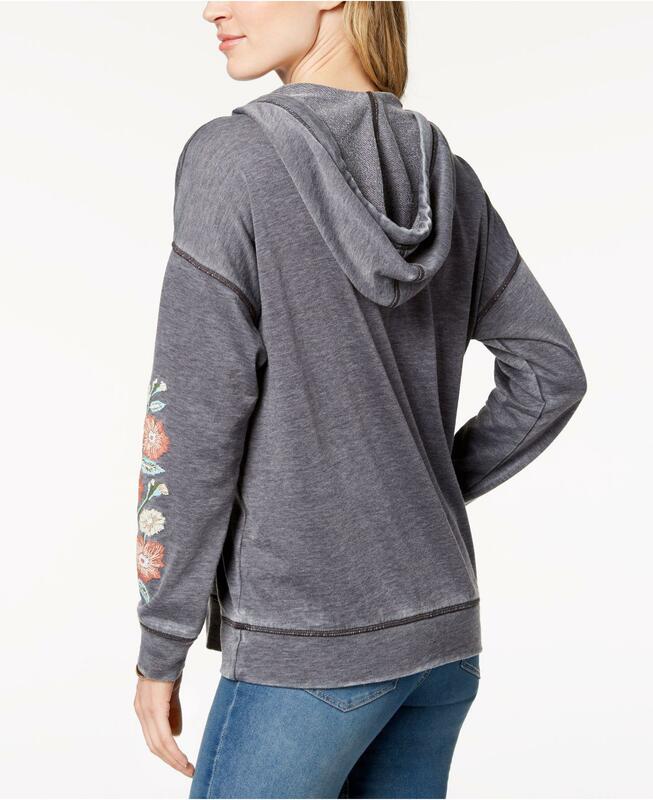 See more Style & Co. Hoodies. 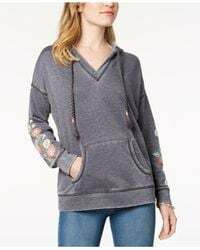 More from Style & Co.
Sweet embroidered flowers on the sleeves of this burnout hoodie top from Style & Co take a classic profile to a new level. Approx. Model measurements: height: 5'10"; bust: 35-1/2"; waist: 27"; hips: 35". Due to generous sizing, we suggest sizing down for the perfect fit. Relaxed fit; hits at hip. V-neckline with attached hood & tassel ties. 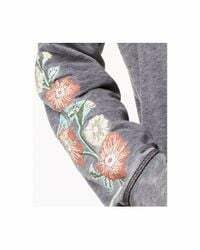 Embroidered flowers down the sleeve; kangaroo pocket at front; banded hem; burnout fabric. Created for Macy's. Polyester/cotton (exclusive of embroidery). Machine washable.